Functions are a program or multiple lines code written to achieve specific functionality. 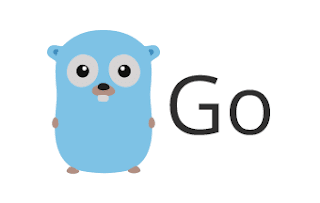 every functionality is defined as a function in Go Langauge. Every Runnable code in golang has main() function.k The functions can be called by some other code at a different location. The advantages with functions are duplicate code and maintenance of code. Few key points of a function in golang. Function declaration contains header and body. Few notes about the syntax of the function. func keyword - func is a keyword in golang. Every function declaration always starts with this keyword. argument1 - These also called parameter, which will be enclosed with ( and ). The syntax for argument declaration is the argument name followed by data type. Multiple parameters can also be declared separated by a comma. These are optional ie empty parameters also valid. return type - Function return multiple values. declaration of return type contains name and type. Type is optional. Any number of return types can be declared. It is an optional type. We will see various features of functions with various and examples in below sections. The following is an empty function which has no input parameters and it is not returning anything. This is also a valid function. Basic Function with input and output here is an example for function The below function has two input parameters - value1 and value2 of data type int. The return type is also int which returns the sum of these two numbers. these functions are declared with ellipse (three dots ) in the arguments. This should be declared as last argument. The below code gives compilation error - can only use ... with final parameter in list numbs arguments are not final or last arguments of the function declaration. Like every programming language, Functions are building blocks and most useful in go language. There are lot features that functions supported in this language. Please share your valuable comment or feedback and share it Social Media .